The Pilot G-2 took down around 50% off your 12,000 votes, in addition to winning Gizmodo’s 2014 vote, Lifehacker’s 2012 vote, and getting Gawker’s nod in 2014. It’s a pretty good pen. 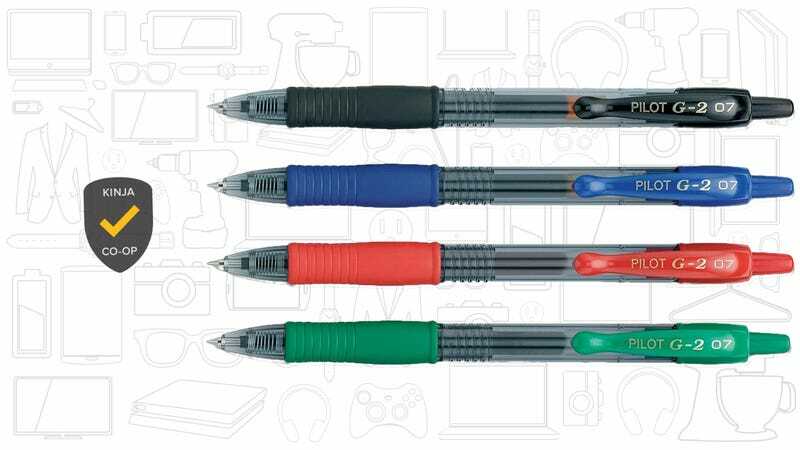 All five of your favorite pens are so cheap, that if you’re curious or not satisfied with the G-2, you may as well buy them all and test for yourself. Looking for a fountain pen? The LAMY Safari received the most support in round one.